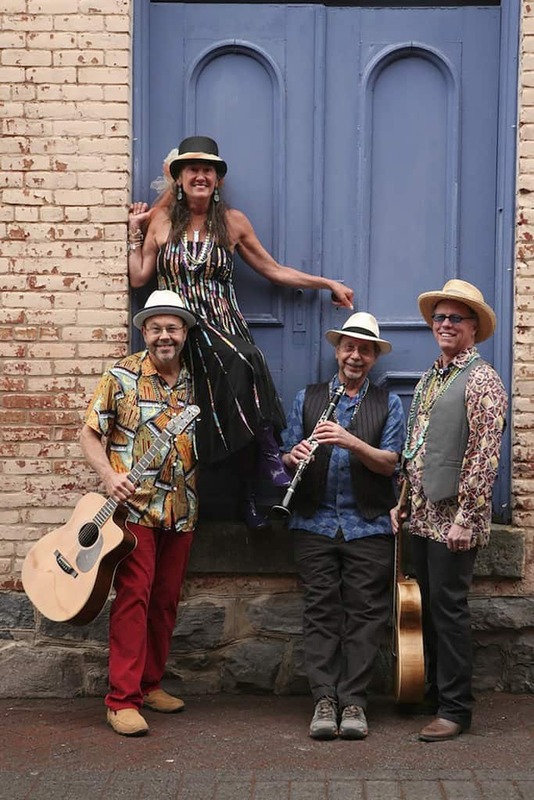 Tuesday, June 21 at 7 p.m. — CASTLETON — Castleton University is pleased to present Annie and the Hedonists as part of the 21st Annual Castleton Summer Concerts at the Pavilion on Tuesday, June 21 at 7 p.m. at the Castleton Pavilion. Annie and the Hedonists are a four-piece acoustic blues, vintage jazz, and roots Americana Band. Known for their harmonized renditions of great female artists of the 20s, 30s, and 40s, Annie Rosen leads the dynamic and versatile musicians with her timeless vocals. Having just released their fifth album “Tonal Indulgence” in 2015, this hat-wearing foursome will be the second band of the summer to grace to the Castleton Pavilion. The Castleton Summer Concerts at the Pavilion features a premier lineup of local bands that are set to take center stage all summer long. Continued every Tuesday evening throughout the summer, the 10-show series highlights live entertainment by outstanding local area professional musicians. The Castleton Pavilion serves as an excellent indoor/outdoor facility for summer events and allows concerts to be held rain or shine. For a complete list of concerts or for more information, visit www.castleton.edu/summerconcerts or call 802-468-6039.